You are here: Home / Your Questions / Should I Take Fish Oil? Should I be taking fish oil? I’ve heard there are all sorts of benefits. Is there a way get the same benefits if I don’t eat fish? Essential Fatty Acids are called “essential” because they are just that, essential for the human body but cannot be produced by our body alone. We need to obtain EFA’s through the food we eat and/or supplements we take. There are only two essential fatty acids: Omega-3 and Omega-6. As you can see there is a reason why these are abbreviated! Omega-6, just like omega-3 fatty acids, is “required” in that our body cannot produce it by itself. However, unlike omega-3 fatty acids, our Western diet actually has an excess intake of omega-6s. This can lead to multiple adverse health consequences such as inflammatory conditions such as autoimmune disorders, irritable bowel syndrome, and cardiovascular disease. Thus, it is important to increase our omega-3 intake. Omega-6 sources are corn, sunflower, safflower, and vegetable oils. Polyunsaturated fats and Monounsaturated tend to have different effects in the body than saturated and trans fats. Saturated fats (like those found in milk, butter, cheese, the marbling of meat) and trans fats (formed in the hydrogenation process of oils and found in foods like french fries) tend to promote cardiovascular (heart) problems. Sources of polyunsaturated fats, like that found in DHA, are known to actually have the opposite effect promoting heart health. ALA is plant derived while EPA and DHA are derived mostly from seafood. Additional sources include green vegetables such as Brussels sprouts, kale, spinach, and salad greens. These are not significant forms considering the amount that would need to be consumed in order to extract to be beneficial. Our bodies are only partially able to turn ALA into beneficial EPA and DHA and as we age, that process becomes increasingly difficult. Canned salmon and sardines are also sources, but not as good as having it fresh! Smaller amounts can be found in organically raised animal products like free-range eggs, chickens, and grass-fed beef. If you do eat fish, the best source is fresh Wild Alaskan Salmon (consume a few times a week for benefits). There are two types of store bought salmon available to us: wild-caught and farm-raised. Is there a difference? Yes. Is one better for you than the other? Yes. Coming from both a nutritional and environmental standpoint, wild-caught salmon is better for you. Wild-caught fish provide more usable beneficial omega-3 fats and they are exposed to fewer pesticides (if any). Farm-raised fish are also fed and contain antibiotics, fed chemicals to give them a pretty salmon color, and have high levels of PCBs (toxic chemicals). Attention all Vegans and Vegetarians! There is still a way to reap the health benefits of DHA and EPA without consuming any fish or fish oil. Guess where the fish get their omega-3’s from? Sea vegetables, seaweed, and algae! That is how vegetarian and vegan fish oil supplements are made, by sourcing the algae the fish themselves eat. Some studies have shown that combined with a healthy diet and exercise regime, those who also supplemented with fish oil had greater results than diet and exercise alone. How much to take to reap the benefits? Best to have about 300mg three times a day to start, and then you can ease off to two a day after a couple months. This is the best way to get it in your system and really see and feel the benefits. Like anything, without consistency you won’t see all, or any, results. It’s still always good to consult your doctor or nutritionist when introducing something new into your daily routine. 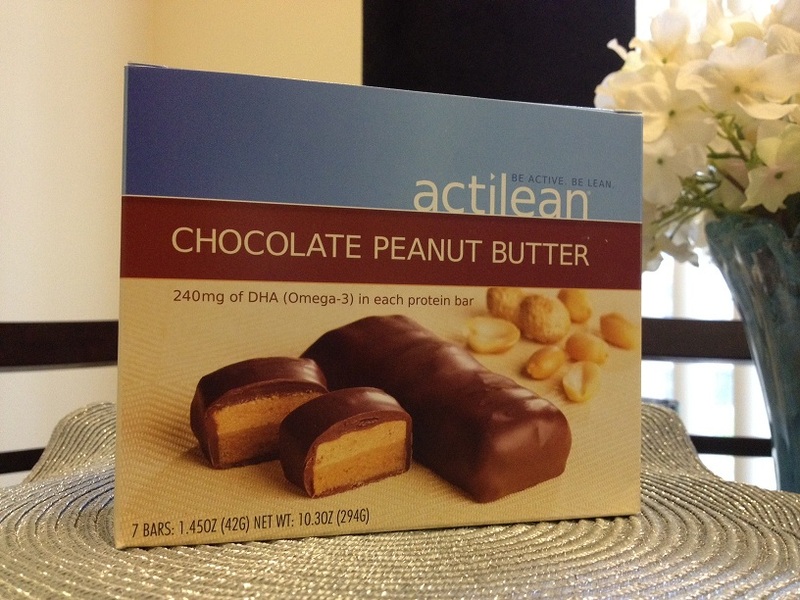 Let me introduce you to Actilean bars. These new bars pack in 240mg of DHA (Omega-3) in every bar. ActiLean products are made with Martek Biosciences Life’s DHA, which is vegetarian-sourced and free of heavy metals and PCB’s. Actilean products use the DHA oil that comes from algae grown in controlled, laboratory-like conditions. Actilean does not use fish oil and thus completely avoid the fish smell inherent in fish-oil based products. Other bars on the market that have included DHA as a part of their product only contain up to 50mg. If you are a fan of protein bars, give this one a try. They contain only 180 calories, 6 grams of sugar, and pack in 15 grams of protein!! !